CHEP Pallecon Solutions has launched a new range of liner bags focusing specifically on the bulk meat industry’s demands for efficiency improvements and waste reduction. The new liner range ensures food safety through the use of blue tint and a co-extruded film technology that is superior to other commonly-used monolayer films in the Australian & New Zealand liner bag market. 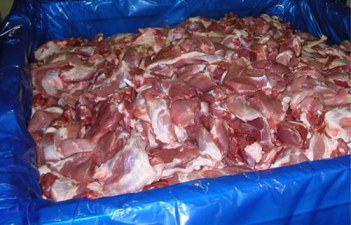 The majority of bulk meat producers in Australia and New Zealand have adopted a practice of double or triple bagging their containers to prevent leaks, which ultimately results in high packaging waste. 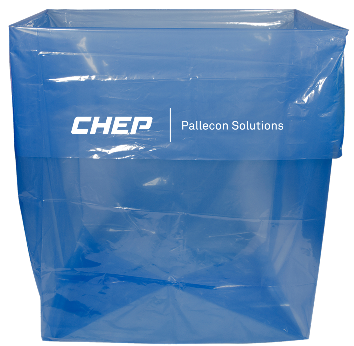 The costs associated with using multiple bags can be avoided by switching to the new CHEP Pallecon Solutions co-extruded liner bags. These bags are produced with multiple, ultra-thin layers within a film that is capable of exceeding the performance characteristics of much thicker mono films; in strength, puncture and flex crack resistance. Unlike monolayer films, co-extruded technology utilises multiple extruders to melt and deliver different high quality resin materials in a single extrusion head. “The liners utilise 3-layer, co-extruded film and will help us provide not only a new tinted liner, but one that is far superior to existing liners in the market place. The blue tint has been tested independently to ensure it does not migrate into the customers’ product,” Mr Gaddes confirmed. The process utilises 100 percent virgin food grade resins and the open top liner bags are FDA, IMS, Kosher & Halal food compliant. The new liner range complements CHEP’s range of integrated solutions available for food applications and can be used in conjunction with its existing suite of Intermediate Bulk Container (IBC) rental solutions.